Thanks for reading Part I and Part II of this series exploring the future of personal transport. 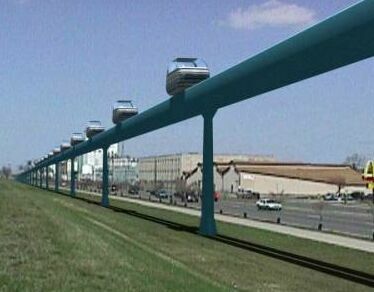 Personal Rapid Transit is another concept proclaimed as the future of our cities. It’s little driverless cabins running on a dedicated right of way. You get in, plug in your destination and are taken directly there. There may be up to four seats in the cabin, but you (plus any travelling companions) get the thing to yourself. The stations in the network are designed so the cabins pull off the track to stop. This means everyone gets an uniterrupted journey to their destination. Expected waiting times are under a minute. There’s a trial version running in the carpark at London’s Heathrow Airport. There’s also been a slightly larger version running in Morgantown, West Virginia since 1975. It has five stations in a line of 13.9km, 73 cars and 16,000 journeys a day. The benefits of public transport – no parking, no traffic accidents, no traffic lights, no local emissions, are combined with the benefit of cars – point to point journeys, privacy and security, and no train stations to stop at along the way. However, in some corners PRT is reviled as a distraction from investments in ‘proper’ public transport. There’s a claim that it combines all the convenience of public transport and all the efficiency of cars. Which isn’t very promising. What do the naysayers (‘naysayers’ is pretentious for ‘haters’) mean? They say that the system is all very well for taking people from diverse origins to diverse destinations, but that since cities feature ‘trip generators’ i.e. big office blocks and campuses, PRT needs massive loading and unloading capacity. And it lacks that capacity, unlike, say, trains. The PRT haters get pretty agitated! From one point of view, PRT is just car-sharing crossed with autonomous cars. Put another way, it’s just taxis (with robot drivers) on transit lanes. Neither of these technologies frighten people. Why should PRT? Why driverless? The big answer is cost. A system of point-to-point journeys with no stopping require many small, light pods. For the 14 miles in Morgantown they have 73 pods. Furthermore, without drivers, traffic jams can be avoided. Computing power can be unleashed on the problem to minimise congestion. The downside is that driverless systems need dedicated rights-of-way. The options are ground-level, elevated, or subterranean. Each of these has disadvantages. Ground level has low infrastructure cost. But the cost of political storm that would be unleashed by taking lanes away from pedstrians, cyclists, trams buses, trains or god forbid, cars, would probably be equal to the extremely high cost of buying the necessary land on the free market. Also, dedicated rights of way at ground level need crossings which are terrible for traffic. Elevated space is probably ‘cheapest’ because the support posts don’t take up too much space, and the external cost of diminished amenity (have you ever experienced a ‘nice’ overpass?) is borne by everyone. Tunnels would work, but it is likely to be even more expensive than elevating the guideways, and delivers a worse user experience. A combination of ground level PRT where traffic is low and land cheap; elevated PRT through most of the city; and underground PRT in the historic heart of town is likely to be the answer. Thinking about the user experience, I wonder about the amenity of the little cabins. The privacy is nice for ones’ self, but the corollary is there’s noone to stop the user before you doing horrible things to the space. Also, since most car sellers sell their brand and people love fashion how does the PRT allow for individual expression of their personality? The grid is owned by a corporation that owns some or no PRT cabins. The remaining cabins are privately owned and do not have to be circulating the system. You can have your own PRT bubble, fully customised, Mercedes Benz if they make them. Assume it is on a ‘parking’ section of the grid that is connected to the main grid. You could make good coin renting out the cabin when you’re not using it. While you are in the office, you could set the price point at which you were willing to lease your PRT. The price of a journey could be set by minute-to-minute market variations. The minute the average price goes over a level you have chosen, your PRT bubble autonomously sets off, making money for you, until a time at which you call it back in. The benefits of this system to the operator is that it diminishes their investment. They no longer need to pay for every component of the system. The benefit to the rider is that they needn’t own a cabin, but they can if that’s important to them. I can imagine arriving at a station, plugging in a destination, and getting an array of quotes on the screen. A 4-seater Mercedes cabin in 30 seconds for eight dollars, a single-seat Ford cabin in 1 minute for 2 dollars or a 2-seater Sony cabin in 2 minutes for 4 dollars. This system is going to be expensive. It is impossible to build it on the scale that will eventually be required. So, is it scaleable? You need to make a small section that gets demand enough to create a compelling, burning need to extend. Where, in your city would that small section go? Is there a section of town where travel is very localised? Is that a place where elevated guideways could go? How will it win over users of other modes? Is this realistic? A government may propose a pilot study in a part of town in order to test the system, but in order for it to be popular and succesful, it needs to be big enough to garner those network effects. Paradox. Do you think this mode has more potential than the humble bus? Has anyone ever ridden the Heathrow or Morganstown PRTs? Share your views! I applaud you for at least recognising some of the difficulties involved in PRT solutions. I think there is scope for small driverless tracked vehicles for transit between points where there is high demand. 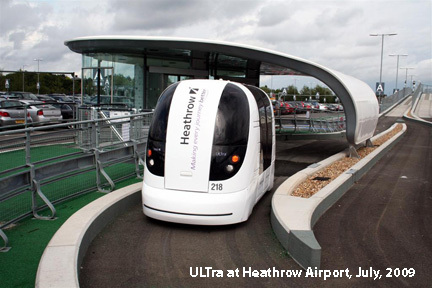 For example some airports are using them to get passengers between terminals although these are closer to buses in their capacity. They aren’t cheap though. 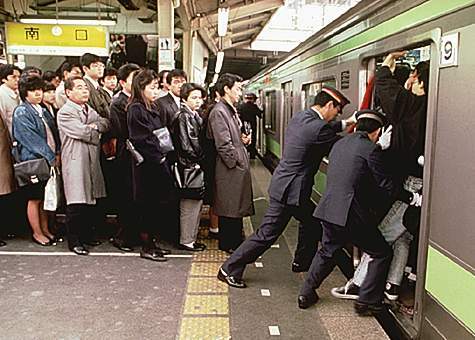 Are you going to mention myki in your list of “Disastrous blowouts”? I once found a list of colossal failed I.T. projects both private and public. In some cases with virtually nothing usable at the end of the massive cost and time overruns. I can’t find it anymore unfortunately. Sobering indeed. We specialize in providing consulting services relevant to PRT and are independent of any PRT vendor/supplier. We attempt to offer unbiased views. 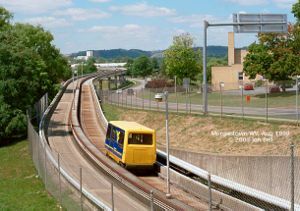 Yes, in our opinion, PRT offers a very viable alternative to buses and light rail – potentially one day to commuter rail too. While initial systems may be somewhat capcity limited, this promises not to be the case in the future. Too often we only consider the capacity of a line, not the cost of that capacity. If PRT has lower line capacity but much lower cost per line, it may then have higher capacity in terms of coat per passenger mile. 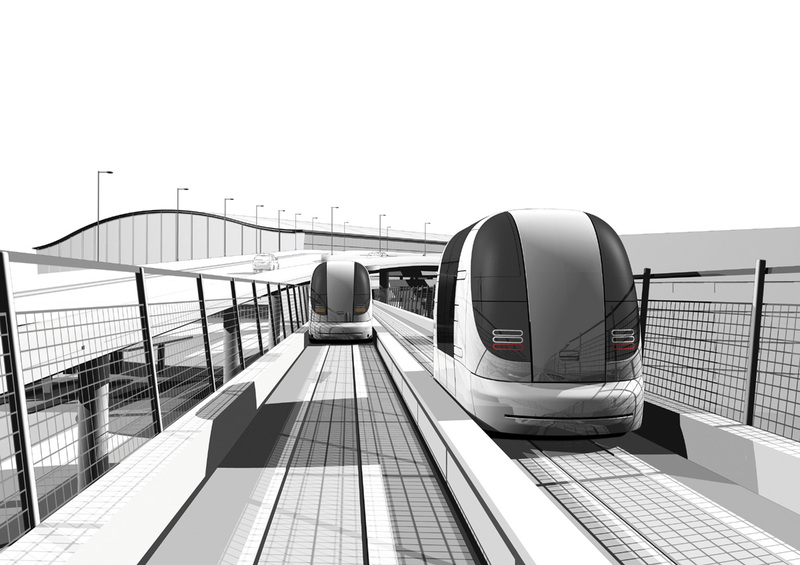 The primary reason why we believe PRT will succeed is that it is the only transit system we know of with the potential to compete with the car. It is hard to beat short walking distances, little or no waiting, seated rides and non-stop travel. The barriers to entry you describe will be overcome after PRT has proven itself in campus-like applications. Visit http://www.prtconsulting.com to learn more. I am a member of the PRT advocacy group in my town. As part of our outreach effort to educate the public about the potential costs and benefits of PRT, I have used freeware obtained from the Internet — the excellent HERMES PRT system that comes out of Greece — to create a simulation of the most frequently discussed PRT system to serve our local needs: a “backbone” that connects our University of California campus with our beach tourist area, by way of the downtown district. During summertime, “surge” traffic targets the beach and the amusement park there. During the other months, there is a surge of traffic going the other direction, to and from the University. Either way, the result is gridlock, frustration, and much wasted time for all concerned in the affected areas. Multiple simulation runs have shown, however, that a PRT system with just 10 miles of guideway and nine stops is more than capable of handling the empirically observed surge traffic going in either direction, transporting people from any stop to any stop in ten minutes or fewer (including any wait for vehicles), even under high-traffic conditions. Every school term, the downtown district experiences a surge of business during the week that classes are out and students are studying for finals. Students can justify the investment in time and trouble to come “down the hill” and into town, in a way they cannot when classes are in session and traffic is routinely clogged on the main arterials between campus and downtown. PRT has the potential to bring this level of business to downtown EVERY DAY, because of the ease and speed with which large numbers of people can go back and forth between the two areas. It also has the potential to draw Boardwalk amusement park visitors into downtown for shopping, dining, cinema, etc. Finally, PRT would let “locals” more often visit and enjoy the amenities of “their” university, perhaps helping to ease “town and gown” tensions, as well as allowing patrons of the arts to more easily attend the many plays, concerts, art exhibits, and lectures that are presented on campus. Before the simulator, these benefits were appreciated mostly as abstractions and generalizations. But now, we can actually “take” interested people on hypothetical “PRT trips” to illustrate the ways in which the system can make their own personal lives better. Previous Previous post: Should house prices be a consistent multiple of income? Next Next post: I heart tax reform.